Home Movies Who are the Suicide Squad characters in the movie? 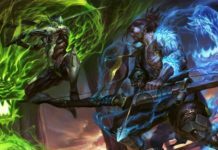 With the released of Suicide Squad movie in 2016, the Suicide Squad has become more well-known, especially to those who don’t know much about DC Universe. But, it also means that many people don’t really understand about these Suicide Squad characters origins and backgrounds. Some are familiar like Deadshot, Joker or Harley Quinn, while the others aren’t that popular like El Diablo or Rick Flag. And so today, let’s check out all of these Suicide Squad characters and see how they are in comic version! Joker Origin, the most Mysterious Story in DC Universe? Clown Prince of Crimes, Harlequin of Hate, The Joker, he is probably the most infamous villain in DC Universe and most people have already known him by now. 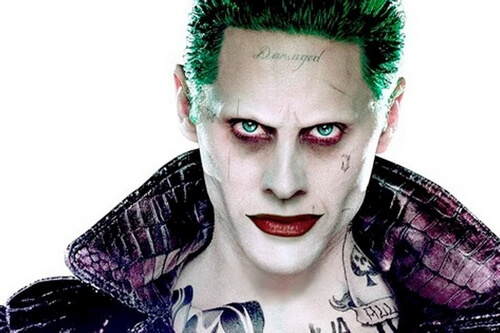 In the movie, Joker was starred by Jared Leto and he still maintained his iconic appearance like in the comic: purple suit, pale skin, green hair, and his iconic laugh. On the other hand, the Joker in Suicide Squad movie appears to be more maniac in terms of destruction, rather than intelligent scheming like Heath Ledger’s Joker. In the comic story of New 52, there was one time when Joker disappeared, leaving Harley Quinn behind. While living alone, Harley Quinn joined the Suicide Squad for a while and she found a new purpose there. However, when Joker returned, he punished Harley for being “too independent”. 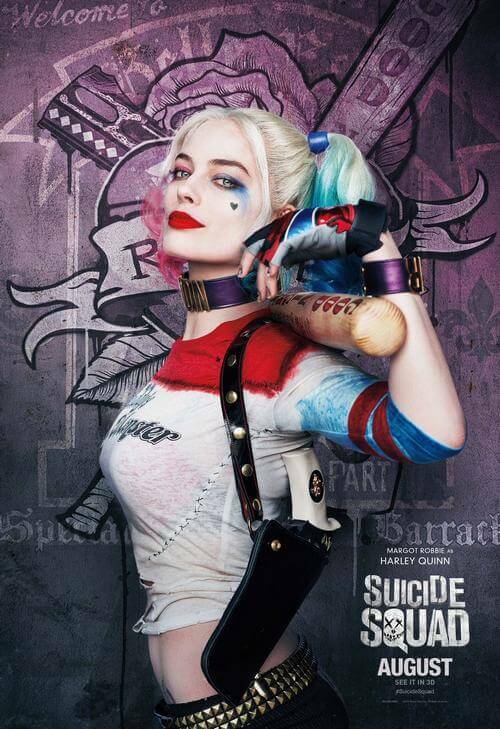 Harley Quinn is probably among the most popular Suicide Squad characters in the movie, besides Joker. Her appearance and characteristic sticks quite closely to the comic version, including her typical hairstyle, revealing outfit, her half-crazy characteristic, and also her background story. Just like in the comic, Harley Quinn was actually a young psychiatrist working at Arkham Asylum called Dr. Harleen Quinzel. When Joker was sent to Arkham, Harleen gradually took great interest about him. And then gradually she fell in love with him, ultimately became Harley Quinn, a close side kick of Joker. Unlike the movie version, Harley Quinn and Joker have never been in the Suicide Squad together. As mentioned above, when Joker left without Harley, she was later on among Suicide Squad characters and found new purpose in there. Later on in the recent DC Rebirth issues, Harley is still working with the Suicide Squad as an active member. Like in comic version, Enchantress, or June Moone (her true name), is the active member of Suicide Squad. 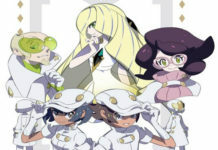 Her background in the movie version also sticks to the original comic version: June Moone is a young artist, but with a special power. She can become Enchantress, a powerful sorcerer who has power on par with Zatanna (some say she can even surpass Zatanna). There is a difference between movie Enchantress and comic Enchantress. In the movie, June Moone has great difficulty in controlling her Enchantress power. Therefore, she is always gloomy and always looks sad. On the other hand, her comic version looks merrier. 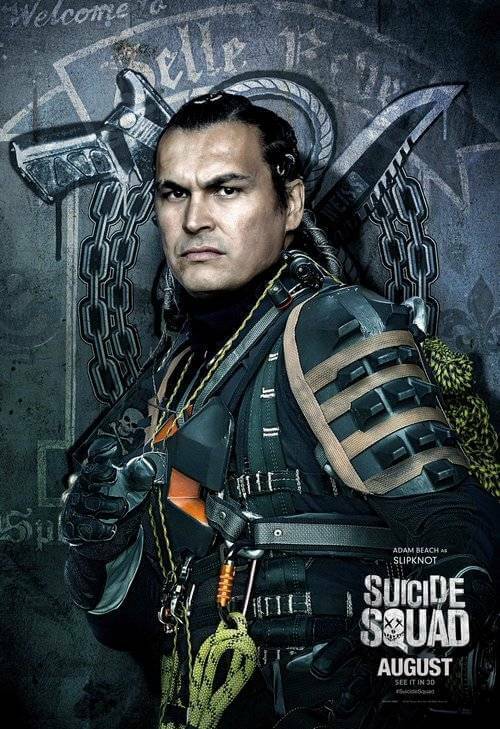 There are different versions of El Diablo, and the El Diablo in Suicide Squad movie is Chato Santana. 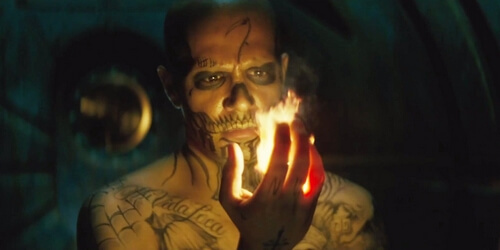 Movie Chata Santana and comic Chata Santana both share the same background: Before becoming a Suicide Squad member, Chata Santana was a gangster with pyrokinetec ability which allows him to control fire at ease. 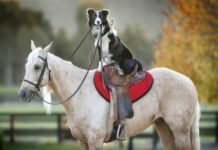 Despite being a gangster, Chata Santana seemed to have his own code of rules. In a debt collecting task, he burned down an entire building and accidentally killed many women and children. After that tragic event, he turned himself in; however, Amanda Waller had a different plan for him: recruiting him for the Suicide Squad. Deadshot’s true name was Floyd Lawton and he was once a professional assassin. 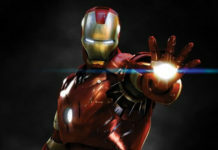 He’s often seen wearing his cybernetic suit when working, along with his two guns on his two arms, and a sniper rifle. 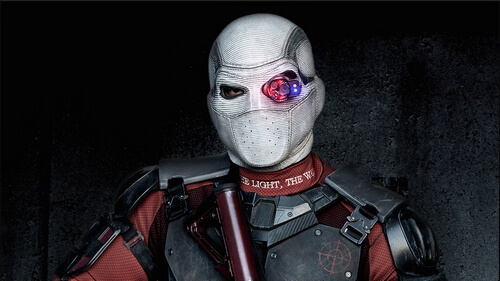 Deadshot is a professional marksman; he’s often referred as the man who “never misses”. 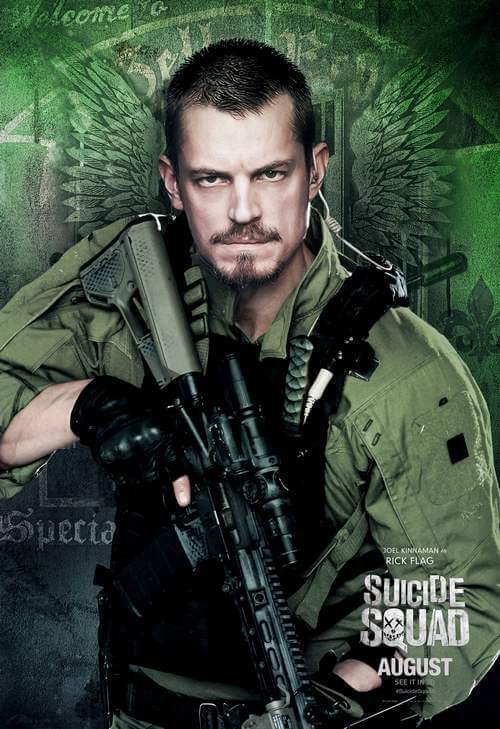 Before becoming a member among other Suicide Squad characters, he was a free assassin for hired and he took almost all contracts with a suitable price. In the Suicide Squad Rebirth, it is revealed that Deadshot once had to take a contract of killing a senator if he wanted to ensure his daughter’s safety. However, he failed his assassination for the first time due to Batman’s intervention. Afterwards, Deadshot and Batman cooperated and successfully rescued Deadshot’s daughter. Later on, Deadshot was captured and forced to become a member of Suicide Squad. He has been one of the active members of Suicide Squad since then. Here we have one of the Batman’s enemies, but this time he’s in the rank of Suicide Squad. 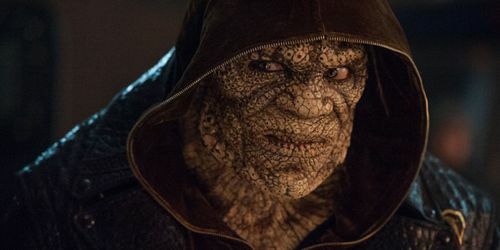 Killer Croc is a man with reptile’s characteristics and animalistic traits. In the comic, he’s a huge reptile-like human with green skin; his skin is tough which can block gunfire. 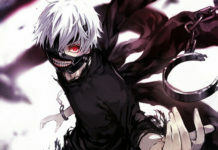 He also has high regenerative ability, super strength, speed, and senses. In Suicide Squad Rebirth, it is revealed that Killer Croc’s true identity was Waylon Jones, an orphan who had reptile atavism since he was born. Due to his “bizarre appearance”, he was often bullied by local kids. But among them there was a girl named Emma who befriended with Jones. One day, Jones saved Emma from a crocodile; however, people mistook him as the one who harmed Emma. He ran away and nothing was heard from him since then. Katana’s true name was Tatsu Yamashiro, a professional martial artist, and later on a professional swordswoman. 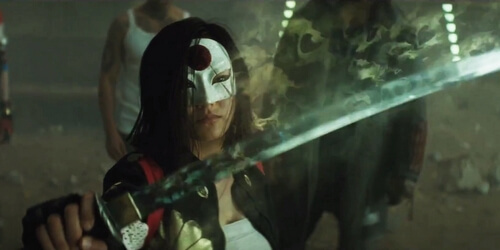 Unlike most other Suicide Squad characters, Karen Fukuhara volunteered to join the Suicide Squad ranks. In the movie, her motive was pretty unclear while in the comic it was partly explained. Katana used to be a professional martial artist until her marriage with Maseo when she decided to retire. However, Maseo’s brother, Takeo, didn’t appreciate this marriage. He was a great figure in Yakuza business, especially after he possessed the Soultaker, an ancient blade which had the power to absorb human souls. One day, Takeo burned down and hunted for Tatsu’s family. All of her family members died, including Maseo. When Takeo came to kill her, the Soultaker reacted; it chose Tatsu instead of Takeo. Therefore, Tatsu was able to wield Soultaker and kill Maseo. Though her family murderer died, she said that the sword told her to join Suicide Squad as they would need her. Currently, she is the Suicide Squad’s second-in-command, after Rick Flag. Unlike other frequent members of Suicide Squad, Slipknot, a.k.a Christopher Weiss doesn’t appear in the Suicide Squad Rebirth. However, he did appear in New Earth as a villain who extremely skilled in ropes. He and other villains once took a task of killing Firestorm; however, their plan was failed. Slipknot was quickly captured after that. Apparently it is unclear whether the movie Captain Boomerang is Owen Mercer or his father George “Digger” Harkness. But one thing we know is that both father and son take the alias of Captain Boomerang. 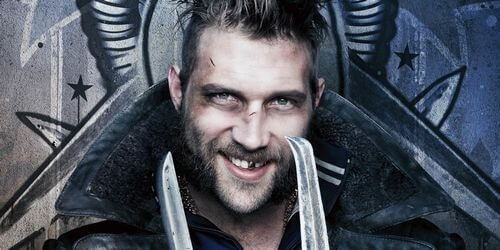 George “Digger” Harkness, the original Captain Boomerang, was a villain and also a member of Rogues Gallery, a villainy group fighting against the Flash. 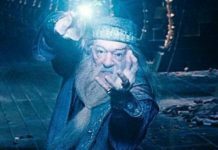 He was extremely skilled in using boomerangs and he could utilize various types of boomerang for his bidding. Meanwhile his son Owen Mercer possessed a part of superspeed power which allows him to manage boomerangs even better. He once had a time with Rogues Gallery, but then he quickly left and joined the Suicide Squad. Rick Flag is the son of Richard Flag, a World War II hero. He used to be an elite agent of Task Force X, until Amanda Waller recruited him for her Suicide Squad team as its field commander. 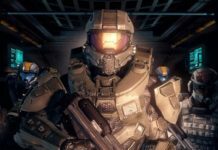 Rick Flag is a normal human, but he is extremely skillful in leadership and soldier combat abilities. In the movie, he is also described as a man who occasionally has unstable mentality issue. 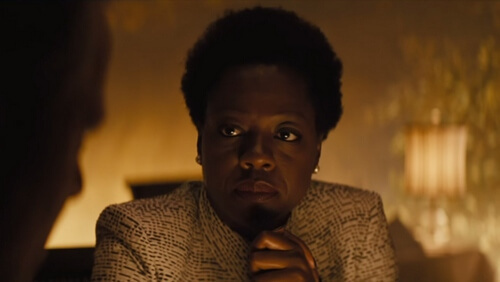 The movie version of Amanda Waller is quite similar to her comic version in both appearance and characteristics. She is the one who started the Suicide Squad, an expandable team of Task Force X consisting of criminals and villains. Amanda Waller is a cunning and sharp woman; also she has the highest power in the Suicide Squad (although she is a normal person) and even in political field. In the comic, Amanda Waller was once a professional agent of the government. 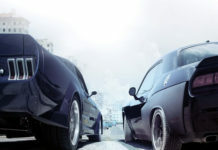 One day, she took a mission in a region of Malaysia which involved in stopping a dangerous weapon. Unfortunately her team failed and the entire population became hideous zombie-like monsters. At that time, she had to kill Duren, her comrade, and this affected her a lot. Quickly after, she suggested an idea of forming an expendable team – Suicide Squad. And that’s it folk! Those are the backgrounds of Suicide Squad characters in the movie! 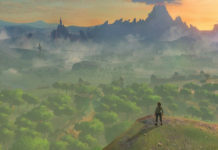 For the meanwhile, stay tune for more news in the future!